ishapepolicy.com Last-minute voters can use this site’s political quiz to assist users in their decision-making. Last-minute voters can use this site’s political quiz to assist users in their decision-making. With the presidential elections around the corner, biased news sources and conflicting opinions among family members and friends only complicate the already confusing election process. iShapePolicy.com is a relief to voters who just don’t know where to turn. iShapePolicy.com is a website that makes the confusing election business comprehensible. It provides interactive information about each candidate and the main issues at hand. The main feature of the site is the political quiz that matches your answers with the candidates’ opinions. The quiz allows the user to choose the option for their opinion on topics such as abortion, government bailouts, healthcare, gay marriage, energy and much more. Any terms or acts that are a part of the question are clearly defined on the same page. After taking the quiz, users can see which candidate’s overall opinions match their own views the most. From that page, users can pick and choose which candidate’s opinions they’d like to see compared to their own. 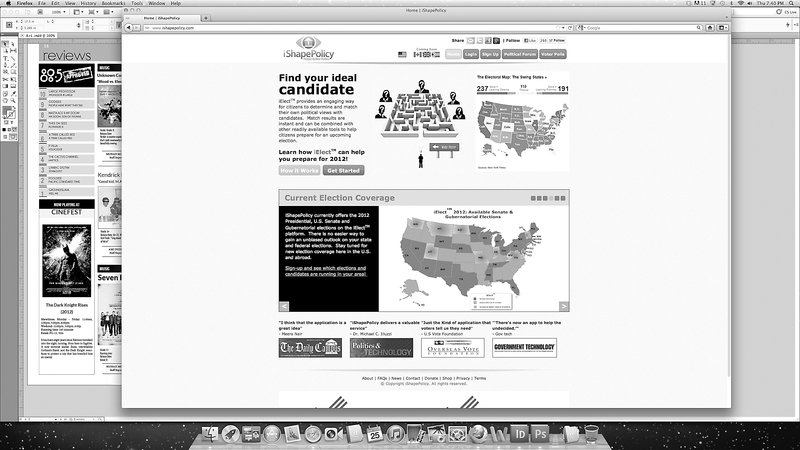 After discovering the candidates’ viewpoints on the top issues, users can “vote” for a candidate. The vote will be used to create more accurate data for the website. Using that data, a “Voter Trends” tab shows what percentage of quiz takers will be voting for each candidate. The charts are also shown by demographics such as age, gender, and political party preference. “It’s very comprehensible. Especially for someone like me who is not updated on U.S. politics,” said Sattar. The site also actively works to get public opinion on issues such as the Iran nuclear program and Arizona’s immigration law through polls. The situation is briefly and straightforwardly defined, and readers can poll their support. This provides other users with an idea of what our fellow citizens think about. For more information on each candidate, the site provides links to their campaign websites, Twitter, Facebook, Wikipedia page, and Youtube channel all in one place. While mainstream media usually only covers the Democratic and Republican candidates, iShapePolicy gives information on the representatives for the Libertarian, Green, and Constitution parties as well. This way, users can continue to research the candidates to ensure a well-educated vote this coming Election Day. Approximately 46 million 18-29 year olds are eligible to vote this year.